Take a look at the list of LIBA members. Do you see your favorite business on there? Reach out to them–call, contact them on social media, or drop by. Tell them how much you love their business and that you love Lincoln, too. 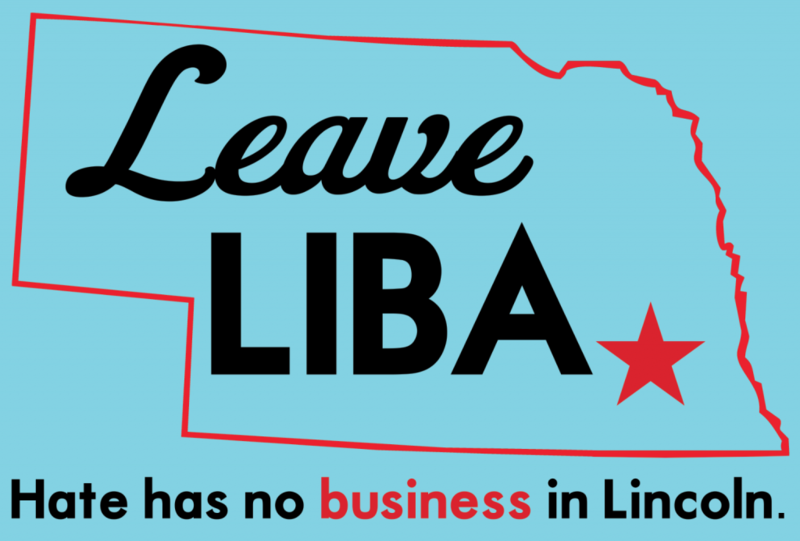 Let them know that their LIBA membership is supporting hate in Lincoln and ask them to leave LIBA. Most members probably have no idea what LIBA is up to. The first step is just letting them know, and letting them know it’s important to their customers that they leave LIBA. You may have seen our yard signs popping up around Lincoln. We are working on making these widely available. Stay tuned.